If you're intrigued by the idea of wearable technology, but don't see the Pebble's appeal, or don't have the patience to wait for Google Glass or any of the other rumored wearable goodies coming from Apple, Samsung, or Google (depending on who you ask), Motorola's MOTOACTV, the fitness-tracking smartwatch, may be a good starting point. 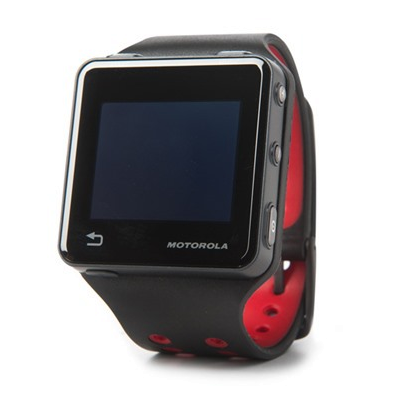 The MOTOACTV, which debuted in 2011, is a smartwatch that positions itself as mainly a fitness tool, tracking your runs and slapping some maps and music on top of it for a nice experience. The device also syncs to your smartphone to notify you of calls, SMS messages, and calendar events. If you've been eying the MOTOACTV but didn't want to shell out cash for the full price, Woot.com has the device for $179.99…for the next three hours. That price is about $120 off full price for the 8GB version, and Woot is throwing in a free heart rate monitoring chest strap to sweeten the deal. Those interested should hit the link below (quickly).